I always love reading about pattern designers and who they are and why they knit and design. It truly is inspiring and encouraging to start or continue creating hand made works of art!! 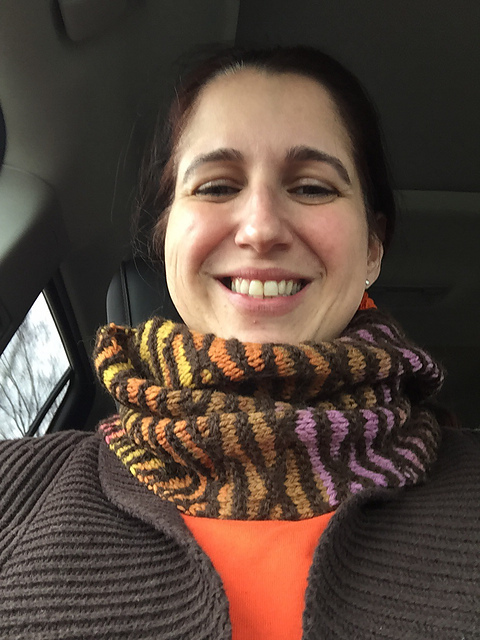 Rhonda has just finished this wonderful Coloured Diamonds Cowl designed by Audrey Kerchner. The pattern is available through Audrey’s Ravelry store here. 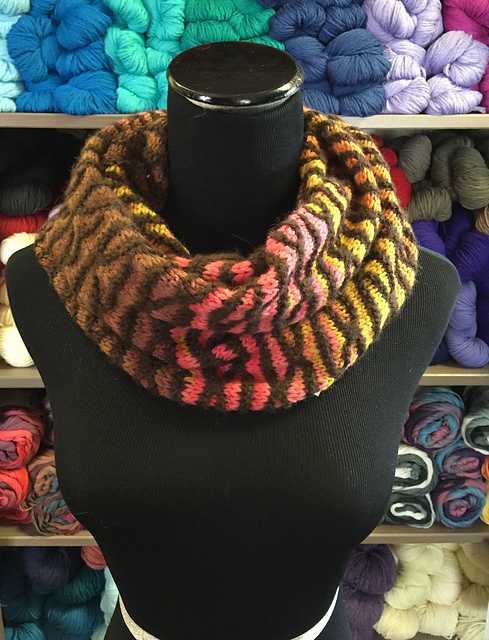 I would rate this pattern of beginner difficulty and is ideal for beginning knitters who want to venture into color work, without getting into fair isle or color stranding just yet. It requires basic knitting knowledge, and the slip stitch and basic color changes are practiced. This piece is also knit flat and seamed together. 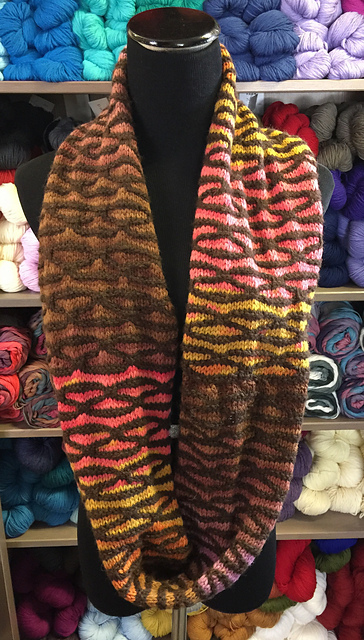 Rhonda used two skeins of Classic Alpaca’s Baby Alpaca DK in Oregon Brown Timber and two skeins of Classic Elite’s Liberty Wool in Firestreak with size 8 needles. The finished product is being featured at our local yarn store. Come by and have a look and feel the super soft baby alpaca in action! We are happy campers with this real gem! And as always… Happy knitting and crocheting!! !